For most Canadians, our oceans are sweeping saltwater vistas filled with humpback whales, wild salmon, sharks and orca, among others. From our northern coasts, down the Pacific and across the Atlantic, Canada's oceans are thought of as inexhaustible sources of beauty, food, and opportunities for people to earn a living from coast to coast to coast. Alarmingly, WWF's new Living Blue Planet Report alerts us to how seriously this natural wealth is at risk -- around the world and in Canada -- as a result of decades of overfishing, habitat damage and climate change. The report also finds that, in many cases, these negative impacts stem from human activity that we can control -- or avoid all together. Most alarming of all is how these negative impacts, if left unchecked, will risk both nature and people -- particularly with the loss of important food sources. 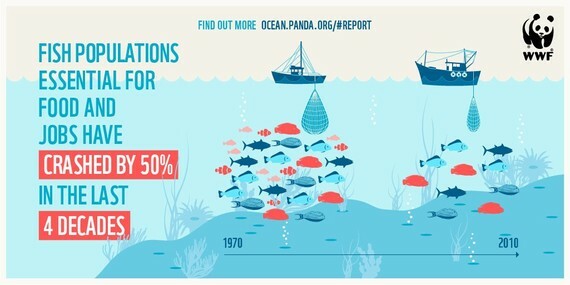 Using similar methodology to WWF's Living Planet Report 2014, the new study finds the world's oceans have lost about 50 per cent of vertebrate species including whales, turtles, and sharks. Major commercial species -- tunas, bonitos and mackerels in particular -- are showing an even more startling decline of 74 per cent between 1970 and 2010. As important sources of food and employment, this has serious implications for people everywhere. The Living Blue Planet Report is consistent with the 2012 Royal Society of Canada Report on Marine Biodiversity, which found that marine fish in Canada's oceans are estimated to have declined up to 52 per cent between 1970 and the mid-1990s. Although populations have remained relatively stable since, they have not recovered. We don't need to look any further than the collapse of Newfoundland's northern cod fishery to be reminded of how communities are impacted when resources are overexploited. For centuries, the cod stocks in this region seemed inexhaustible. But when the fishery collapsed in 1992, over 40,000 people lost their jobs. Today the cod stock -- along with many other northern fisheries -- is showing early signs of recovery, but still remains well below pre-collapse levels. 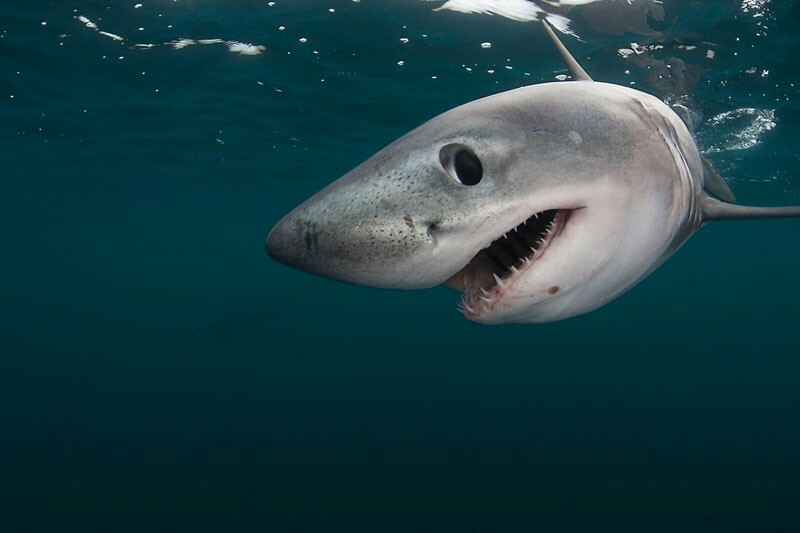 Another startling example is the Northwest Atlantic porbeagle shark population, which has dropped an estimated 75-80 per cent from the 1960s to the early 2000s. Better management has helped the numbers increase slightly, but at current recovery rates, it would take close to 100 years for the population to reach a healthy level. 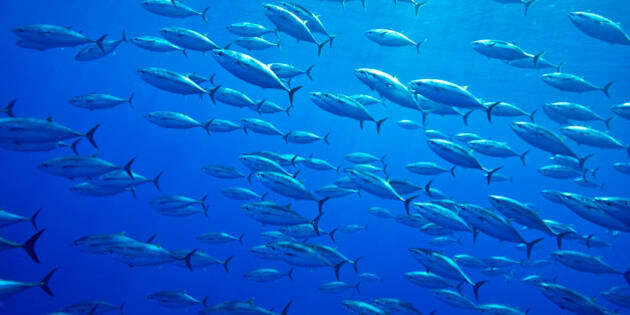 The report finds that climate change is making the already worrying situation in the world's oceans even more delicate. Excess carbon dioxide from fossil fuel burning is changing our oceans more rapidly than at any other point in history. Increased temperatures are altering entire ecosystems, while higher levels of acidity is putting tremendous pressure on species. If there is good news, it is that WWF is working towards solutions that can help turn the tide. Here in Canada and around the world, we support smart fishing practices that help eliminate bycatch, waste and overfishing. This could help porbeagle shark populations in the Atlantic, for example, by reducing the number of sharks that are accidentally captured and killed. We've also helped launch a new Fisheries Improvement Project (FIP) led by fish harvesters represented by the Fish, Food and Allied Workers Union. The FIP is a five year effort that aims to bring the renowned Newfoundland and Labrador northern cod fishery back to a healthy level. It's already showing encouraging signs of recovery, and we want to demonstrate that it's possible to rebuild Newfoundland cod to benefit local communities. It also imperative that we work with the global community. Many important decisions impacting ocean health will be made at the UN climate conference in Paris this December, offering Canada an opportunity to show leadership by making strong commitments to reduce carbon emissions. Healthy, thriving oceans have a direct and lasting impact on Canada's 7,000 coastal communities, our overall well-being, our national economy and the planet. Our jobs and our communities depend on that life. And our lives -- the air we breathe, a stable climate -- depend on the ocean too. 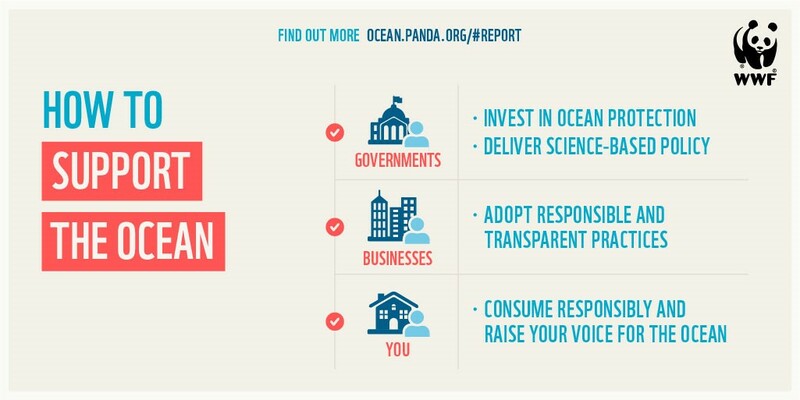 Keeping the life in our oceans healthy and thriving isn't just the right thing to do. It's what we must do.